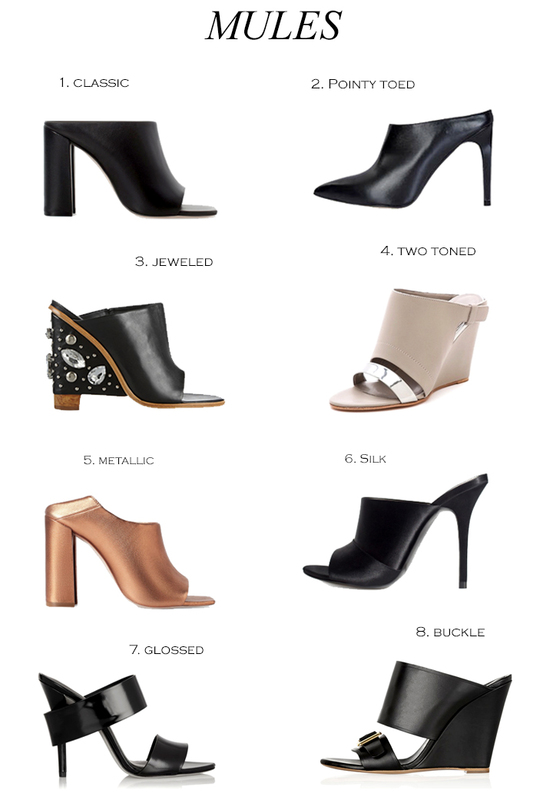 I'M LOVING THE MULES SHOE TREND! IT'S NOT ONLY STYLISH, BUT COMFORTABLE - DOUBLE WIN! IT'S ALSO EASY TO SLIP ON AND OFF AND CAN EASILY BE STYLED WITH ANY OUTFIT. I'VE BEEN LOVING MY MULES - REMEMBER THIS OUTFIT POST & THIS ONE? SO, I'M THINKING I NEED ANOTHER PAIR OR TWO FOR THE SUMMER! HAVE YOU CAUGHT ONTO THIS TREND YET?